After you have found a piece of jewelry that you love, you need to know how to care for your treasure. Even the best made, highest quality jewelry is delicate and if not handled properly will suffer breakeage and damage. Each of your jewelry pieces should be handled with love and care and they will last you a lifetime. 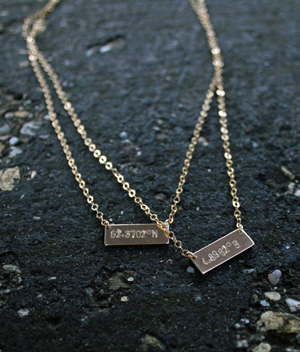 Sterling silver and Gold Filled will tarnish overtime especially delicate chain necklaces. Salt, acid from your skin and oxygen in air are the two biggest causes of tarnished silver and gold filled. To avoid this, clean your jewelry frequently. Never place your jewelry in a chemical dip or ionic cleaner. Do not use solvents or any harsh chemicals. Metals and gemstones can cut and scratch each other. Never store your jewelry in a pile. Minimize scratches and tarnishing by storing your jewelry in small plastic ziplock bags and in separate compartments in your jewelry box. You can clean the jewelry as often as needed.